I've lived, worked and played in the Stratton area for over 20 years. 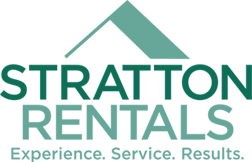 As co-owner of Stratton Rentals, I'm experienced in rentals, property management and all aspects of the real estate process. Buyers and sellers appreciate the professionalism I deliver to each transaction. I enjoy giving back to the community that has given me so much! I currently serve on the boards of the Stratton Foundation and the Mountain School at Winhall. I live in Winhall with my husband Tim and our children Casey and Sean.